Deciding where to spend your golden years is a big decision. For many people, the idea of moving to a new city is one that’s exciting. For others, staying close to friends and family might be the better option. Whether you’re considering a move or you’re interested in staying close to home, you can’t go wrong with Los Angeles. Along with countless wonderful senior care facilities, Los Angeles has a lot to offer older adults. Everybody knows that Los Angeles is one of the most pleasant cities in the world when it comes to the weather. It seems like it only rains a few times each year in Los Angeles, and those pesky snow storms and hurricanes just don’t exist. There are very few cities that can offer comfortable temperatures throughout the year. If you were to go through the closets of a handful of Los Angeles residents, you would likely find that nothing in their wardrobe would be able to keep them warm in a city like Boston or New York. Why? Because Los Angeles never really gets cold. Sure, there are a few nights where the thermometer might be in the low to mid-40s, but that’s about it. Summers in Los Angeles can get a bit warm, but the dry heat is much more tolerable than the humidity of the southern and Northeastern portions of the United States. It also stays pretty cool by the beach year round, and you know Los Angeles isn’t short of beaches. No matter where you are in Los Angeles, you’re never too far from the beach. 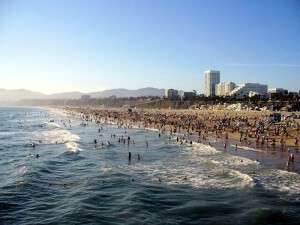 While some communities like Santa Monica are certainly closer to the ocean, the ocean air does make its way further into other parts of the city. While some people may not know this, living near the ocean actually does have some health benefits, and even being able to spend a good amount of time by the water does as well. The ocean air helps people breathe a bit easier, and many people find that they fall asleep much faster at night with the ocean breeze. People who live near the ocean also tend to spend more time by the sun, which can help improve a variety of skin conditions in moderation. Few major cities are as health conscious as Los Angeles. 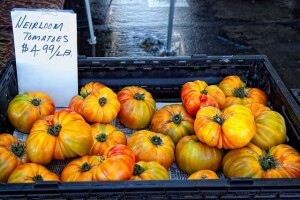 You won’t find any shortage of amazing restaurants that don’t skimp on the fat in LA, but you won’t find any shortage of health food stores, organic produce and farmer’s markets, either. 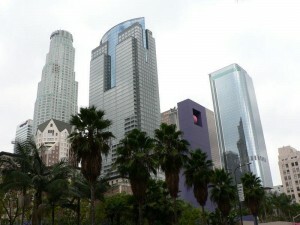 Los Angeles also has a wide variety of different outdoor places designed specifically for exercise. Many parks in the city of Los Angeles have long walking and running trails, and some even offer the use of free exercise equipment during certain hours of the day. Of course, you can’t forget about swimming in the city of Los Angeles. Los Angeles has more well maintained public and private swimming pools than you could visit in a lifetime. For seniors, swimming and water-based exercises are often ideal because they don’t put stress on the joints. Los Angeles is a fun, exciting city for a person of any age to live in despite, some people thinking it’s only for the young. That couldn’t be further from the truth. Los Angeles is a wonderful place to spend your retirement years, and few places allow you to live in comfort, style and health like the city of angels. Marcela De Vivo is a freelance writer in the Los Angeles area. Her articles focus on health and wellness for all ages, and she particularly enjoys writing about the best ways to improve lifestyle. She is currently contributing to Presidio Home Care’s blog.